veganmofo 16: Peanut butter nut butter butter butter! | Go Fork Go! veganmofo 16: Peanut butter nut butter butter butter! I made the gigantoid peanut butter oatmeal cookies from VWAV and they are totally amazing… best peanut butter cookies ever! 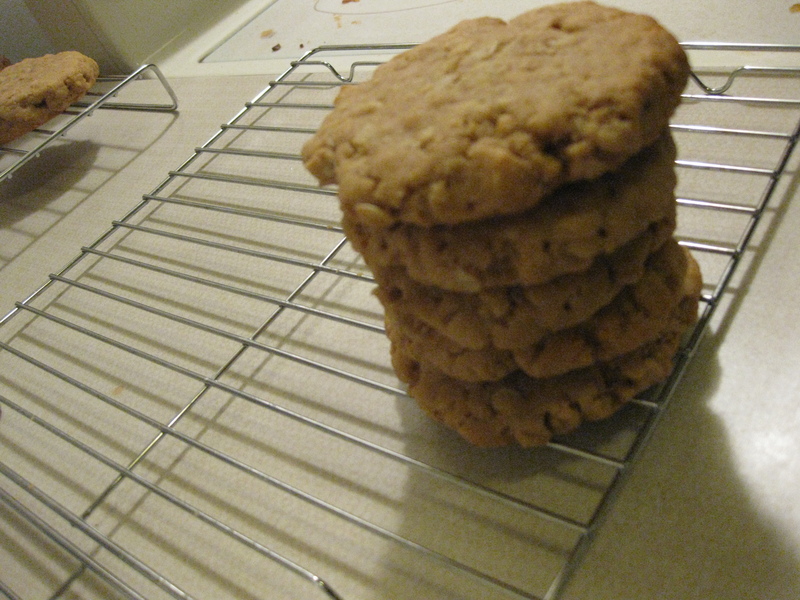 I love oatmeal so I think I prefer my peanut butter cookies with oatmeal rather than without. I used the large flake oats cause they were all I had left and I worried a bit that they would be too hard in the cookies (they take 10-15 mins to cook normally compared to the 1-3 minutes of the instant or brisk cooking oatmeal I typically use in my cookies). But because they’re larger, they are more obvious in the cookies and make the cookies kind of chewier so it makes it all better! I like the added texture. TEXTURE! These are the littler ones I made. I made six gigantoid ones (1/3 cup), six giant ones (1/4 cup) and five little ones with the leftover. I wanted to stack one of each size in a tower and take a picture but sadly, I didn’t decide that until after I had brought the gigantoid cookies to band practice and we had eaten four and one of my friends “volunteered” to keep the other 2. So you just get a picture of the little ones. “Little”. The gigantoid ones were crazy big though! You know what’s sad? Within 3 days of putting it up I filled all of the containers up. 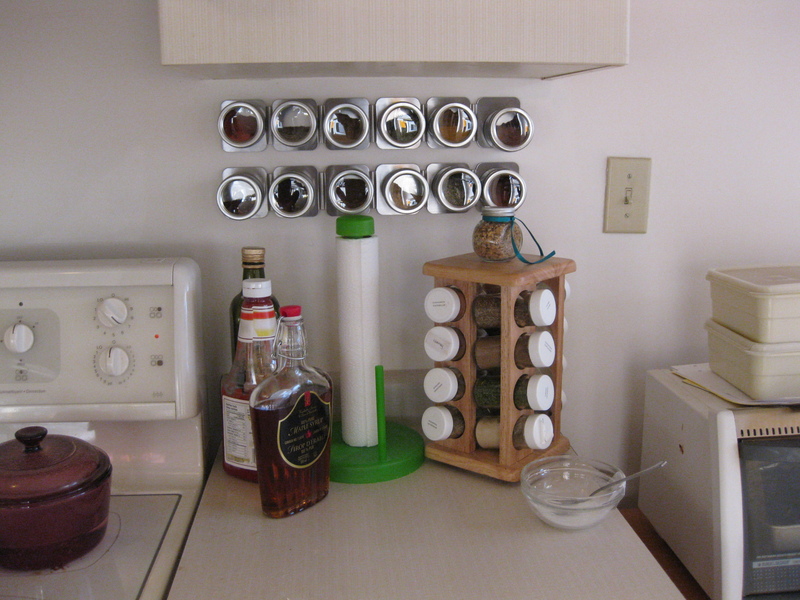 I might need another spice rack lol. How sad am I? I also wanted to share that I am now 35,000 words into my novel and nanowrimo! I’m so happy! I’m still about 3 days behind (Nano says my expected completion date is now Dec 3) but I’m catching up! Funny how I’m getting more written now that I’m driving back and forth between London and Waterloo. Must be the pressure.